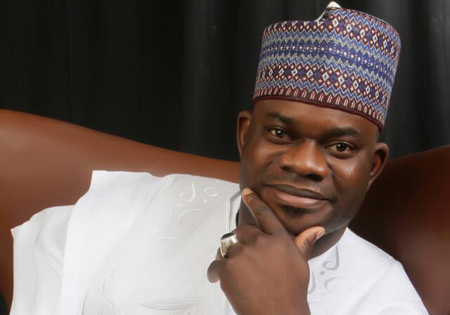 Kogi State governor, Yahaya Bello, has apologised to Catholic Bishops and the entire Christendom over his February 9, comments on the visit of the Catholic Bishops to President Muhammadu Buhari at the Aso Villa. The clerics last week met Buhari in a close door meeting. They told the President that Nigerians were angry about alleged bad governance and imbalance in the system. But addressing State House Correspondents at the Presidential Villa, Abuja, after the juma’at service on Friday, the governor took a swipe at the clerics. He said those who had looted the country’s funds were angry because sources of their free money had been blocked by the current government. On Tuesday, Bello at the maiden Kogi State Economic and Investment Summit, held in Lokoja, asked Vice President, Prof. Yemi Osinbajo to convey his apology to Christian leaders nationwide. “Let me take a moment out of this event to address an issue which is dear to my heart”, Bello said. “I have been mortified since last Friday when a comment I made during a chat with journalists at the State House, Abuja after Juma’at prayers caused an uproar, which is still raging in the press. “In responding to a question related to the visit of Catholic Bishops to the President and some of their views on the state of the nation to him, it has been reported that I said things which are disrespectful. “Not only to our revered spiritual fathers in that delegation, but also to Christians in general.“My exact words were ‘those that have looted the country dry and normally go to churches and mosques to pay tithes are no longer doing so. Of course, this is the category of people who are angry,’” he stated. The governor said that he was trying to generalise, and spoke to the two major religions, only to realise that the word, ‘tithe’, made it appear as if he specifically targeted Christians. “I have spoken to My Lord, His Grace, Bishop Ignatius Kaigama, President of the Nigerian Bishops’ Conference and President of the Episcopal Conference of West African Catholic Bishops on this.“To all of my Christian brethren, I apologise for anyway in which I have hurt your sensibilities. “I also pray my August Guest today, His Excellency the Vice President to help convey to our Christian leaders and brethren all over the world that I would never dream of disrespecting them. I hold all faiths in high regard,” he pleaded.